This product has 2 play dough mats for each letter of the alphabet. 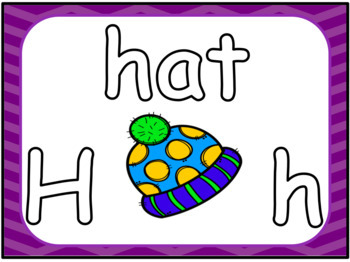 On each mat, there is a large word with hollow letters for children to make with play dough, a large image of the picture for the word, and a capital and lowercase version of the letter, which is hollow for children to form with play dough. 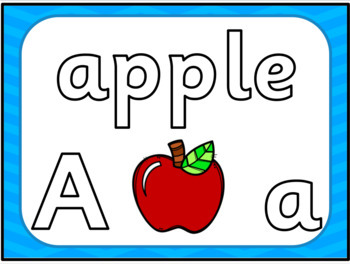 These mats can also be used for writing the words and letters or put onto a light table and traced onto white paper. 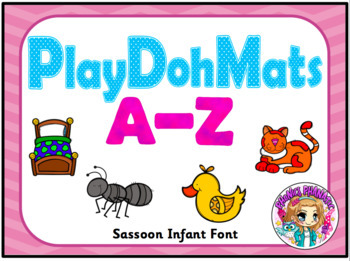 This resource is made in both Comic Sans and Sassoon Infant font for convenience and has the Q sound made with q and qu for schools which use Letters & Sounds.